If you are looking for information on the Fun Bus franchise business opportunity, Fun Bus franchises or Fun Bus franchising, then you have come to the right place. 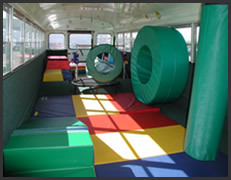 The FUN BUS is a kid's fitness center on wheels. Children jump for joy when they see the FUN BUS pull up to their daycare center, birthday party, or special event. 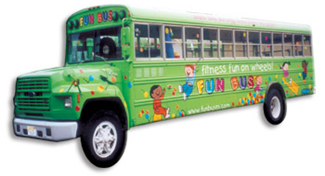 The FUN BUS Fitness FUN on Wheels™ is a full-sized, refurbished school bus that provides a 30-minute fitness and fun program to children ages 2-7. 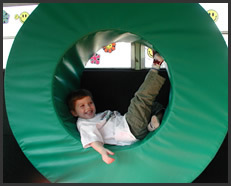 The bus is specially designed with age appropriate equipment like padded mats, swings rings, climbing shapes, slides, and much more. Music and games add even more enjoyment to the experience. The kids have a blast! The FUN BUS business model has created a trusted program for parents and a low risk program for owners. Two people are on the bus at all times and you never drive the bus with kids. Driving the bus is easy - it's like driving an RV and no special license is needed. The bus is climate controlled and is comfortable year round no matter where you live. FUN BUS Fitness FUN On Wheels™.